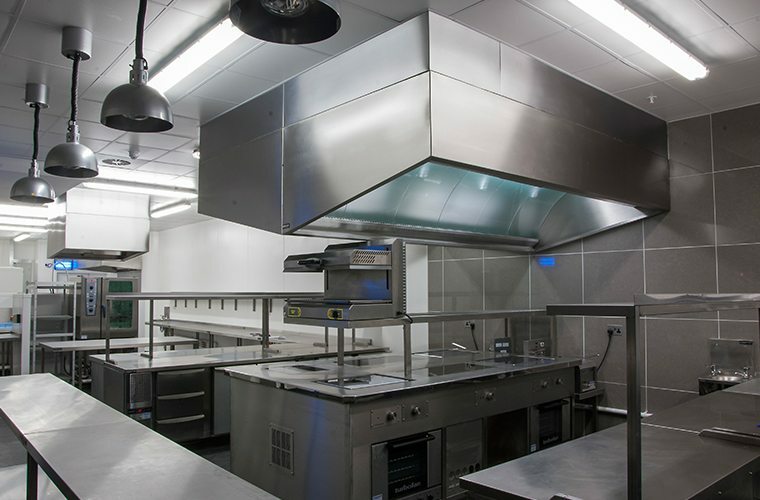 Creating the perfect commercial kitchen isn’t just about obtaining the right appliances and working out how much storage space you’re going to need. Your team of chefs and kitchen staff need your commercial kitchen to work for them too with optimal workflows that prioritise access to ingredients and equipment. Whether your eatery is a small, cosy café or fine dining restaurant, creating a functional, efficient work environment is critical to ensuring profitability. Your menu is going to define both the layout of the kitchen and the appliances you’ll need. Your commercial kitchen needs to be designed around your menu, not the other way around, so having a finished menu before you initiate the kitchen design is of the utmost importance. With a clear idea of what’s going to be served, the kitchen designer can create a shopping list of items that you’ll need, consider appliance positioning and create a floorplan. Workflow can make or break your commercial kitchen. What type of food are you serving and how can your kitchen best accommodate its creation? Fine-dining restaurants offering refined and complex dishes demand a zonal-design that accommodates prep for a long list of ingredients such as meats, vegetables, deserts, sauces and more. Conversely, sandwich or burrito bars will benefit more from an assembly-line style design which allows your kitchen staff to quickly create meals and keep food flowing out to customers. Once you’ve identified the right design for your order workflow it’s equally vital to work out how your staff are going to move around the kitchen. The last thing you want is chefs crashing into one another or craning around each other to cook as this can result in injuries, long order times and both staff and customer frustration. The remedy to this is knowing how many of your kitchen staff are going to be working in different areas while they’re preparing food and how much space different stations within your kitchen will require. Another prominent area to consider when designing your kitchen is that of energy efficiency. Placing a 6-burner cooker for example next to a refrigerator isn’t a smart move. Both are going to be opened regularly, with the heat from the cooker negatively impacting the lifespan of the chilled food as well as the unit itself. Having a neighbouring heat source forces the fridge to work harder to keep food fresh, leading to inefficiencies in energy use too. A properly thought-out kitchen design with energy efficiency in mind will ultimately save you money on both utility bills and appliances. Whether you’ve designed a commercial kitchen thousands of times before or are doing it for the first time, it’s always a good idea to get another set of eyes look over your design. Someone who isn’t as personally invested in your project might be able to suggest ideas you hadn’t thought about or provide insight about electrical codes you might not be aware of. Getting it right first time will save you time and money! Make sure your design includes indications of where electrical and plumbing need to be run; every water fixture needs to be accounted for. Discuss with your main contractor about the loadings of gas and electrical supplies as well as water pressure and drainage points too, as this can dictate the type and quantity of equipment that can be incorporated into your design. Don’t forget to visualize and act out the movements of your kitchen staff and chef too so you know your design works in practise.